Para a FINA, o único tipo de recorde regulamentado em regra é o recorde mundial. Em tempo de Campeonato Mundial, vale um artigo para entender o assunto. O recorde mundial dos 100m medley só existe quando é realizado – obviamente – em piscina de 25m. Já as outras provas como 4x50m livre e 4x50m medley não são reconhecidas como oficiais e, portanto, as melhores marcas do mundo não são reconhecidas ou intituladas como “recorde mundial”, mas sim como “world best”. Existem uma série de procedimentos e exigências para que um tempo seja registrado como recorde mundial. SW 12.5.1 The length of each lane of the course must be certified by a surveyor or other qualified official appointed or approved by the Member in the country in which it is situated. SW 12.5.2 Where a moveable bulkhead is used, course measurement of the lane must be confirmed at the conclusion of the session during which the time was achieved. 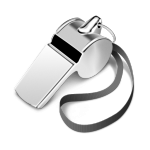 SW 12.6 World Records will be accepted only when times are reported by Automatic Officiating Equipment, or Semi-Automatic Officiating Equipment in the case of Automatic Officiating Equipment system malfunction. SW 12.7 World Records can be established only by swimmers wearing FINA approved swimsuits. SW 12.8 Times which are equal to 1/100 of a second will be recognised as equal records and swimmers achieving these equal times will be called “Joint Holders”. Only the time of the winner of a race may be submitted for a World Record. In the event of a tie in a record-setting race, each swimmer who tied shall be considered a winner. SW 12.9 World Records can be established only in fresh water. No World Records will be recognised in any kind of sea or ocean water. SW 12.3 Members of relay teams must be of the same nationality. Recordes mundiais podem ser obtidos em tentativas isoladas, mas elas devem ser anunciadas com 3 dias de antecedência e ser em local público. SW 12.4 All records must be made in scratch competition or an individual race against time, held in public and announced publicly by advertisement at least three days before the attempt is to be made. In the event of an individual race against time being sanctioned by a Member, as a time trial during a competition, then an advertisement at least three (3) days before the attempt is to be made shall not be necessary. SW 12.10 The first swimmer in a relay may apply for a World Record. Should the first swimmer in a relay team complete his distance in record time in accordance with the provisions of this subsection, his performance shall not be nullified by any subsequent disqualification of his relay team for violations occurring after his distance has been completed. SW 12.11 A swimmer in an individual event may apply for a World Record at an intermediate distance if he or his coach or manager specifically requests the referee that his performance be especially timed or if the time at the intermediate distance is recorded by Automatic Officiating Equipment. Such swimmer must complete the scheduled distance of the event to apply for a record at the intermediate distance. SW 12.12 Applications for World Records must be made on the FINA official forms (see next page) by the responsible authority of the organising or management committee of the competition and signed by an authorised representative of the Member in the country of the swimmer, certifying that all regulations have been observed including a negative doping test certification (DC 5.3.2). 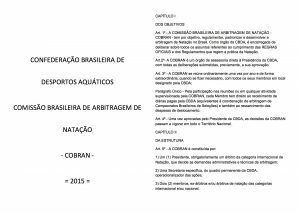 The application form shall be forwarded to the Honorary Secretary of FINA within fourteen (14) days after the performance. 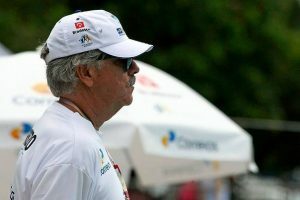 No caso de Olimpíadas, Campeonatos Mundiais e Copa do Mundo, o registro do tempo como recorde mundial é automático, faltando apenas o controle de doping. Por isso é comum verificar na tabela de recordes da FINA recordes que estão “pendentes”: significa que o tempo foi aceito ou automaticamente ou via formulário e que estão aguardando o resultado do exame anti-doping para oficializar. Todos os recordistas mundiais recebem um diploma da FINA pelo feito.